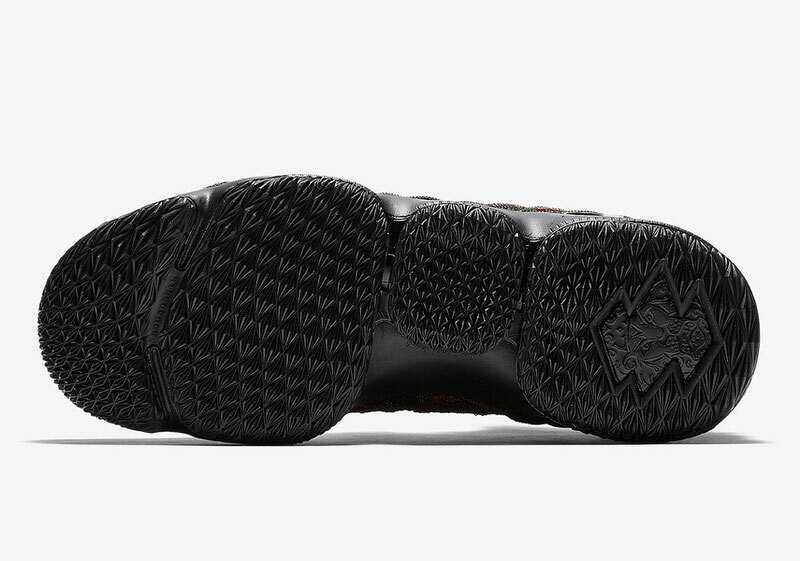 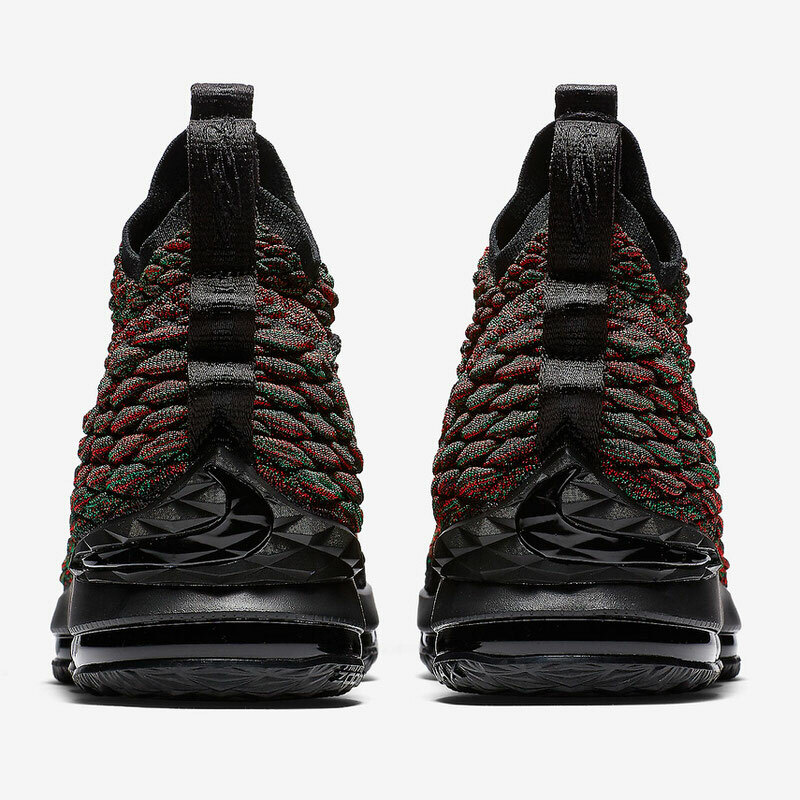 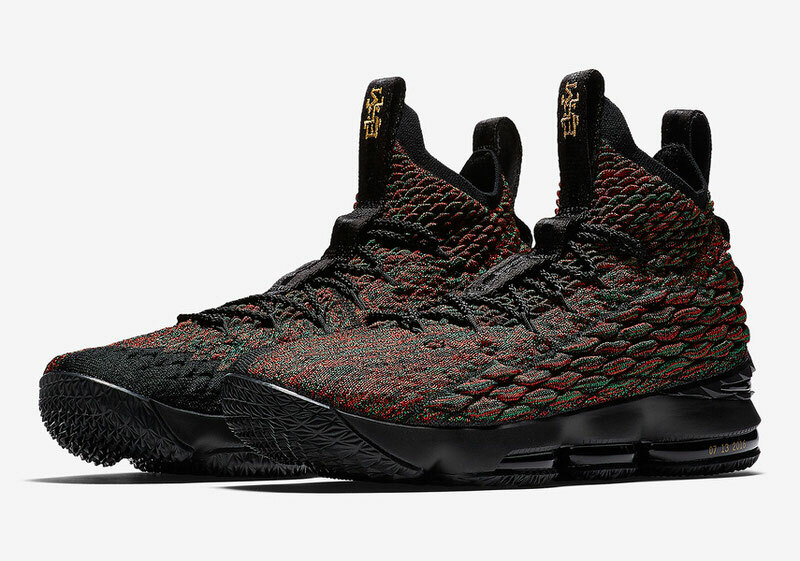 After appearing in “EQUALITY” PEs of his latest signature sneaker, the Nike LeBron 15 “BHM” sees a retail rendition aimed at awareness and celebrating African American excellence. 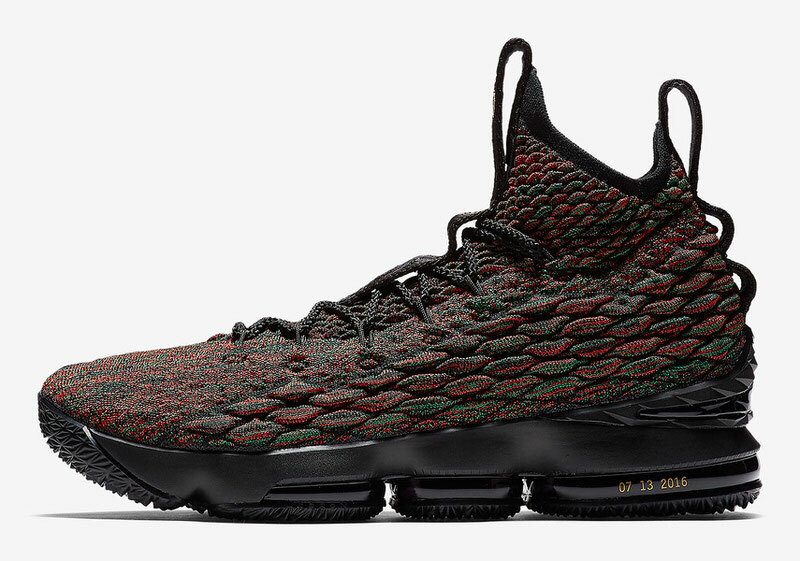 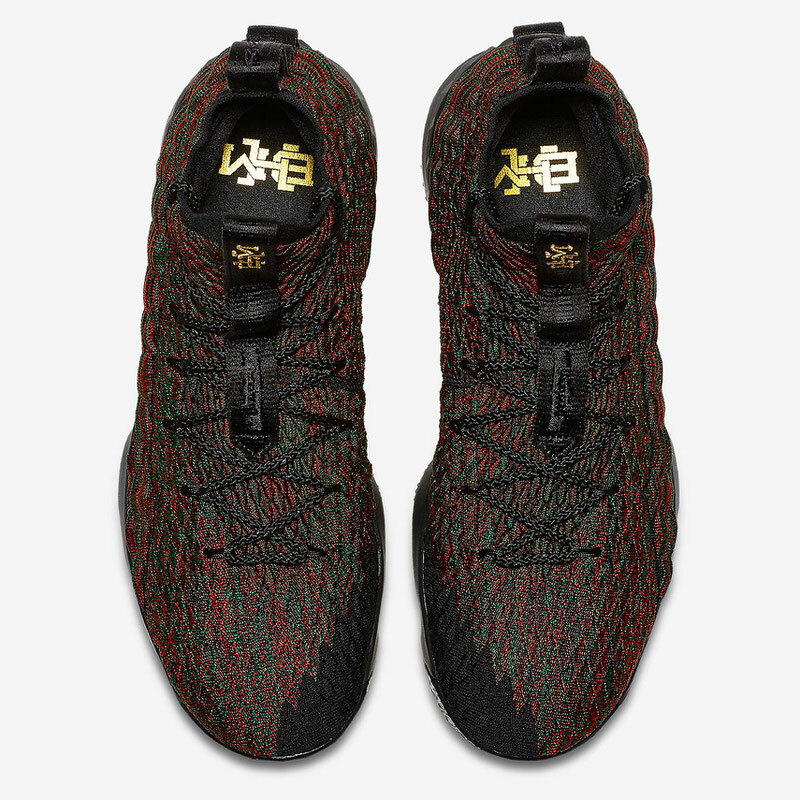 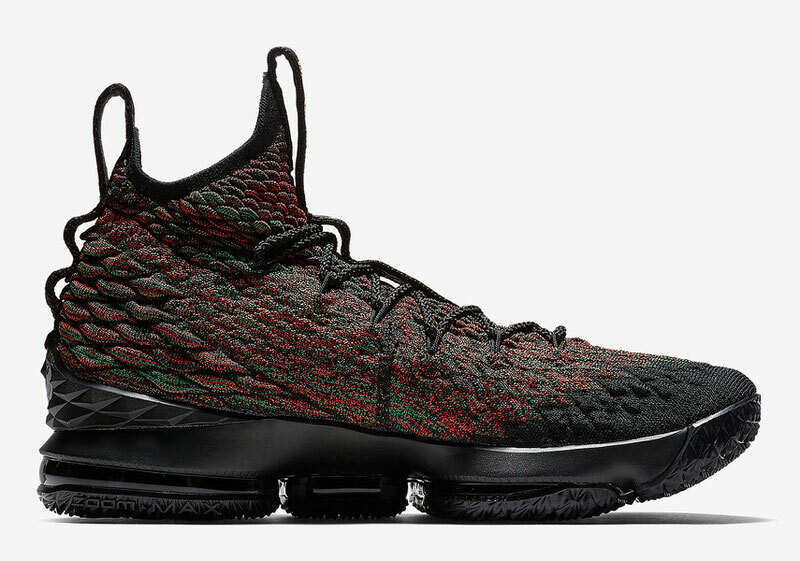 Sporting strong shades of red, green and black with gold tagging on the tongue, the BattleKnit upper takes well to the inspiration with the sole sporting the date of LeBron, D Wade, CP3 and Melo’s moment at the ESPY’s where they took a stand against police violence against people of color. 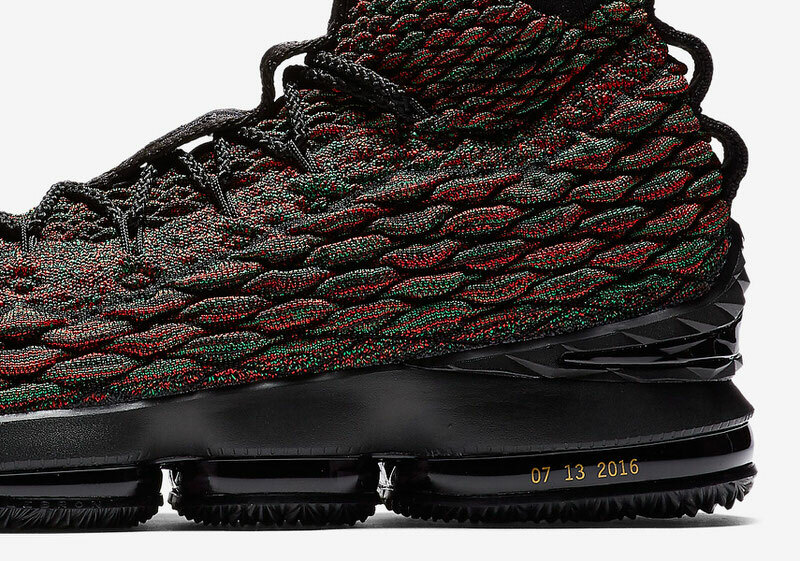 Strong, spirited and built for ball, the Nike LeBron 15 “BHM” releases on January 15th.